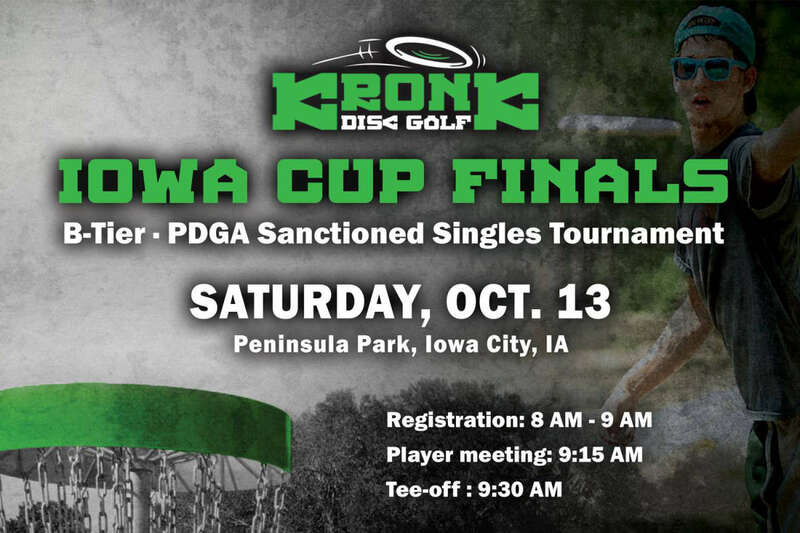 The Iowa Cup Finals! 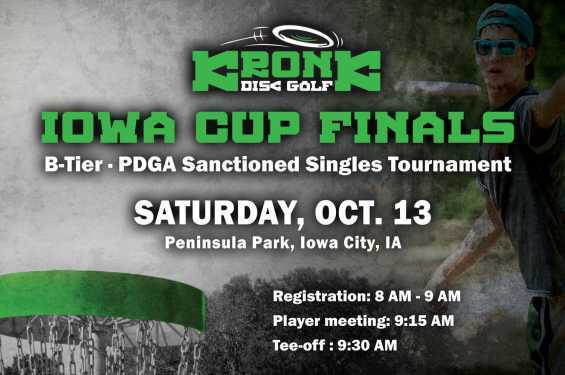 PDGA Sanction B-Tier event at Peninsula Park in Iowa City. 2 Rounds of 18 holes - Singles event. A big thanks for support goes to Promote Iowa City.